Unified communication is the catchword of today’s business world. It talks about the integration of communication channels like the Instant messaging, VOIP, mobility features, video conferencing, speech recognition, data sharing, presence technology and much more that help people exchange ideas and do their jobs efficiently. Ultimately the aim of unified communications is to incorporate the software that serves the purpose of synchronous and asynchronous communication, so that the end user has access to the tools from the device (whatever the computing device) he/she is using. In its broadest sense, unified communication permits an individual or organization to send and receive the message on different mediums over the network. An example to spot is the messages received can be accessed via cell phone or email. In order to send and receive the messages, it depends on other forms of communications as well like the IPTV (Internet protocol TV) and digital signage. Get the state of the art unified communications package from Vector Digital Systems. UC could be of great commercial advantage for your business. Unified communications (UC) can be of great benefit for the business that requires a single system to handle the numerous tools. Organizations are already using the communications applications by the UC providers. 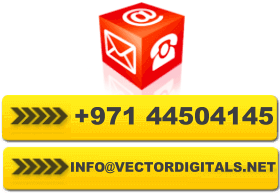 Having a large client base and with the latest to deliver, Vector digital systems in Dubai is the front-runner in offering the cutting edge solutions across various verticals. How you can benefit from Vector UC solutions? Use vector Unified communications to connect customers, employees, vendors, suppliers, information and partners for easy and quick communication. Integrate all the possible communications (SMS, personal messaging etc…) into the business applications. In many way the employees are benefited with the adoption of unified communications. The unification of application for instance the progressive call processing, voice mail, personal assistant, speech, instant messaging and notification has proved to be a great success in terms of productivity. A pack of applications can act as the backbone that will support your business. The organization or user can install and deploy it at the convenience of budget and business. Interoperability and integration extend increased productivity and management. If you are expecting a good return on investment, be ensure to measure the policies you have adopted for a better communication. Imagine in a productive environment a business communication is being handled in a matter of seconds with the help of unified communication package, discover what you are achieving. So join up with Vector digitals for a prospective growth in Dubai. Along with this we are also providing Call center solutions, Contact center solutions, Mobility, VOIP, Wireless Telephone System and IP Telephony Solutions.